You’ve probably heard plenty of stories about college students who’ve stayed up for two nights in a row to finish their thesis or revise for finals. However, whilst it might work for them, in the long-term it can be awful for your health. 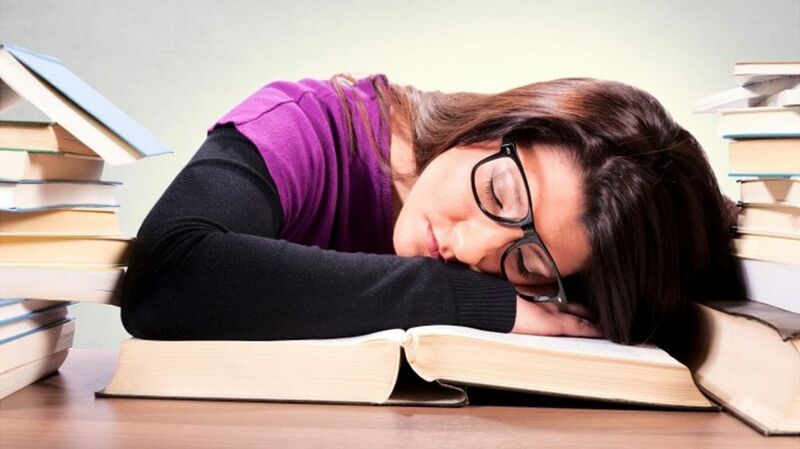 And, being sleep-deprived in college is also bad for your grades; our brains take in and process the information that we learn during rapid-eye-movement (REM) sleep, which you can only get if you’re dozing off into a deeper sleep for at least a few hours. Sleeping well at college will provide you with more energy, help you focus better, and help prevent you from getting sick. We’ve listed some top tips to help college students improve their sleeping habits. Whether you’re revising in the morning before your class or studying at home for your MSN to DNP online from Regis College, it can be tempting to curl up in your comfortable bed with your laptop to get on with some work. However, as appealing as it may sound, working from your bed is actually a really bad idea. When you work in your bed, your brain will quickly start to associate it with working rather than relaxing. As a result, when you get into bed to go to sleep at night, you’ll find it a lot more difficult to wind down and will end up sleeping later than you need. There’s no denying that studying for a nurse practitioner doctorate degree, or indeed any college degree program, is incredibly time-consuming. Once you have attended your online or campus-based classes, taken part in extra-curricular activities and dedicated some time to getting work experience or networking, it’s unsurprising that you may feel you have little time in the day for yourself, for simple things such as catching up with the latest news or scrolling through your social media to see what your friends and followers have been up to. It can be tempting to catch up with this when you get into bed at night, but be careful – the blue light of a smartphone, tablet, and laptop screens causes your body to produce less melanin, which makes it difficult for you to sleep. Use ‘sleep mode’ on your iPhone when it gets late, and try to stay away from all gadgets for at least an hour before going to bed. Studying for your college degree requires a lot of work, which might often be fuelled by coffee, energy drinks, and other caffeinated beverages that can act as a quick energy boost. However, if you drink anything containing caffeine too late in the day, it will stay in your system for hours and make it harder for you to relax when you finally need to. Although there’s no need to give up your morning coffee completely, you should aim to stop drinking caffeine after lunch time to give your body time to get rid of it before bed. Did these tips help? Share your opinion in the comments!